Wedding favors are traditionally small gifts from wedding couples to their guests when they attended the couples' wedding. In modern times, wedding gifts have become commercialized and wedding favors received by the guests have been similar. Thus to distinguished your wedding favors for your guests, nothing is more special than a homemade wedding favor. A homemade wedding favors from the wedding couple will have their personal touch and thus uniquely differentiate their wedding favors from other wedding couples. By designing your own personalized homemade wedding favors, you are able to match the theme and the mood of the wedding and greatly reduce expenses on your wedding budget. Homemade wedding favors do not have to be complicated or labor extensive in order to be unique. If you are thinking of giving a photo frame wedding favor personalized with your wedding photos, you do not have to saw the frame yourselves. You could purchase the photo frames in bulk in different colors. Add on your personal touches with you and your spouse name on it by engraving on it. With advance in technology, professional and creative printing is only limited by your mind. Armed with a computer with lightscribe technology, you can print your pictures onto the DVD / CDs. Lightscribe is a technology to use laser to 'burn' images and pictures onto the CD / DVDs itself. 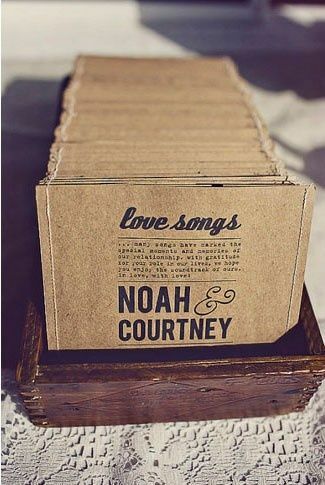 The contents for the CD could include your wedding pictures and your wedding videos. 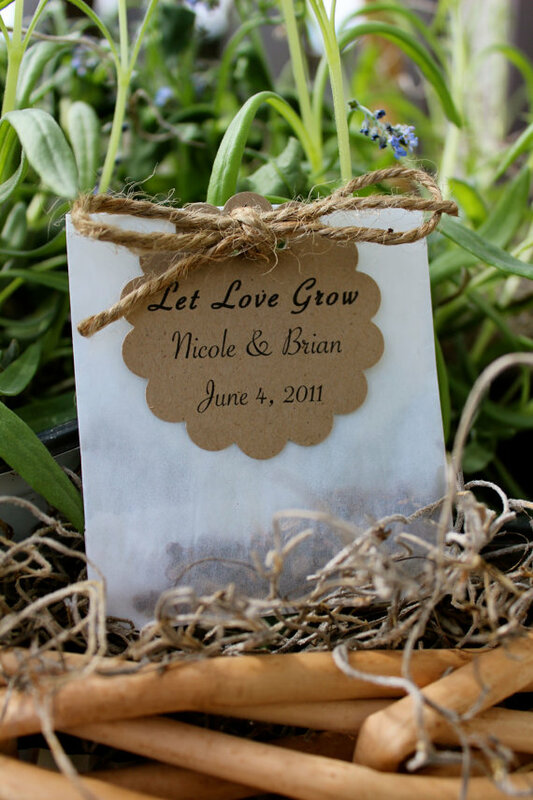 Give your wedding guests plantable seeds and encourage them to grow it. Thus whenever they water the plant, they will be reminded of your wedding favor and the love you both shared. Design your own bookmarks and keychains with various shapes and sizes. It does not have to be in the boring long rectangular shape. A heart shape will certainly lets everyone knows that it is a wedding favor and by printing your photos, it becomes a personalized homemade wedding favor. If you have a talent for baking, not let your wedding guests know about this? 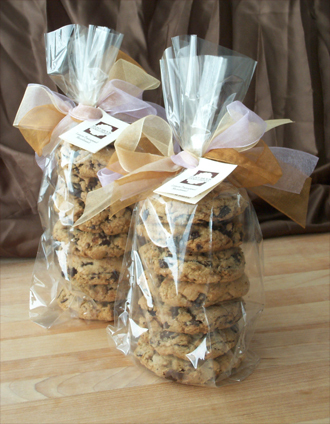 Bake cookies in various shapes, packed in a small personalized box and distribute to everyone. Let your wedding guests have them as the wedding's dessert, sweetening their wedding experience further. The wedding gifts are not limited to the list above and there are a lot others wedding favors which can be given and personalized and you are only limited by your own imagination. Have fun while making your wedding favors and your guests will certainly feel your affection when they receive you homemade wedding favor. A wedding favor that expresses the sentiments of the wedding couple, although cheap, will certainly brings a smile and memory to them.